Released on DVD and Blu ray last month, Midnight, Texas is one of the increasingly popular genres of supernatural drama, and one that slipped by us when it was first aired – although being by Charlaine Harris, the author whose work inspired True Blood, did at least perk our interest for another look. With his grandmother dead, and her creditors still chasing him, Manfred Bernado (François Arnaud), is looking for someplace to lay low. Fortunately being a medium means that just because a person is dead, doesn’t mean they can’t offer advice, and after a quick conversation with his ghostly grandma, Manfred decides to head to one of her old hiding spots. The town of Midnight, Texas, a town with a collection of supernatural inhabitants, and a few secrets of its own. 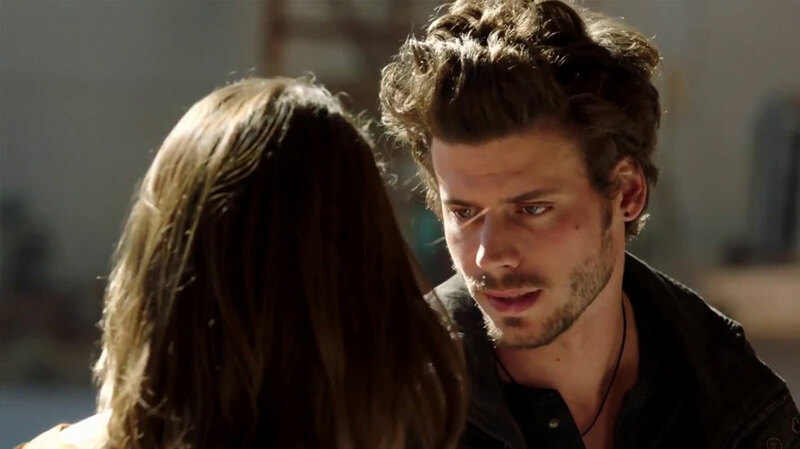 Not as ambitious in the scope of its world-building as Harris’ previous adapted work, Midnight, Texas merely sets up a cursory groundwork for the various supernatural denizens of the town to interact through a loose alliance. The result is enjoyable fare, a taste of Southern Gothic, that swaps the arid Texas scrub land for the swampy bayou, but really doesn’t push the boundaries of the genre. Nor is this the only switch Midnight, Texas pulls, with the entire premise feeling vaguely familiar. After all the demonic veil (the supernatural McGuffin that Midnight is built upon) is merely Buffy‘s Hellmouth, with a veneer of rural Americana substituted for the suburban high school. Yet the country aesthetic, the more adult tone of storytelling, and the plethora of supernatural characters do work in Midnight, Texas‘ favour. It’s a slight work, but not one bereft of charms, making for bingeable watching. It’s also one that is very easy to underestimate, and it can still pack the occasional mislead that can surprise audiences. That bond of misfits, combined with the independent outlaw spirit, and occasional contrariness of small-town America also makes for a rather addictive viewing formula, with the added spice of the supernatural. The result is nothing we haven’t seen before, but an enjoyable iteration of it, with a lot of room to expand with seasons going forward. François Arnaud manages to capture the reprobate nature of the medium turned grifter, Manfred, and walk the line as between heroism and self-interest. Peter Menshel is also notable, as one of the most forthright and open vampires on TV (seriously, just blurts out his secret in a restaurant), but does a good job at leaning into the gothic tropes of the role. Midnight, Texas is never a show to take its premiss overly serious and leans into the pulpish nature of source material with a certain glee. The result is enjoyable, but don’t expect depth.